The widths of the runner are 14mm and 24mm. 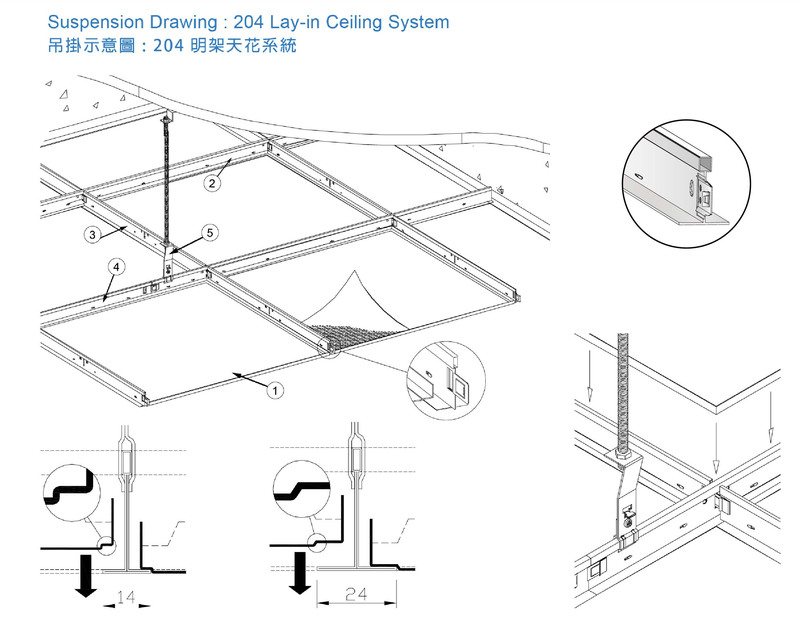 The ceiling is designed to be 2.0mm less thick which makes it looks smoother. The combination of T-shape main and cross runners is built by the suspension frame which is hanged by T-runner bracket (P-102).